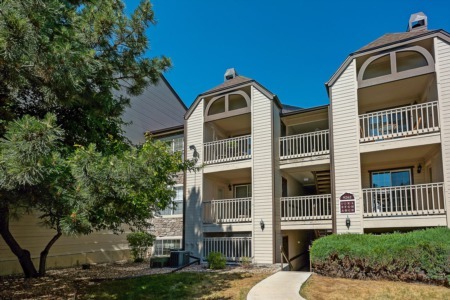 Promontory Court community is located in southeast Denver and many of the units have spectacular views of the mountains. Promontory Court is an older gated community with eight acres of impeccably landscaped grounds, giving it a parklike setting to call home. Many units have been remodeled to feature more modern elements, such as granite counters and hardwood floors. Amenities include community pool and dog run.